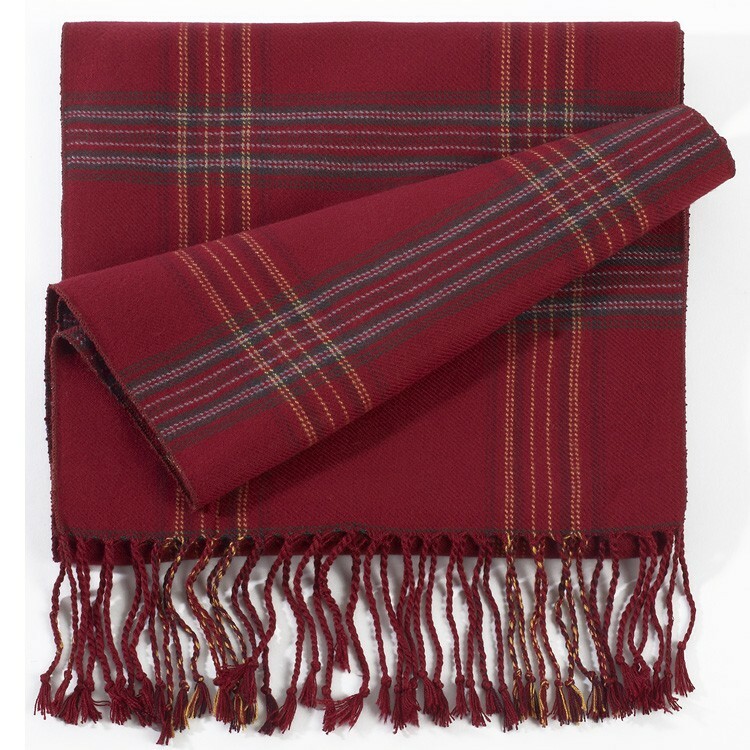 Red plaid 10" x 72" eco-friendly bamboo winter muffler scarf finished with 3" rope fringe. Perfect for men and women. Soft and luxurious, these unisex eco-friendly scarves are made from 100% bamboo fiber. Combine with bamboo blankets for an extrordinary gift combo. Embroidery available - 4" x 4" imprint area. Additional colors include black/tan, navy blue/green, green, brown and camel plaids. Quantity discounts available starting at 12 pieces.